Even though they are the smallest and simplest devices out of my entire safety segment, earplugs are the most-commonly misused piece of PPE. I can bet you that at this moment thousands of workers across Canada have their earplugs hanging out of the side of their heads because they didn’t insert them properly. And, the scary thing is that this problem isn’t limited to young workers — many of them are actually veteran employees. Many workers overlook the importance of hearing protection training thinking they already know the best way to use earplugs. And, if this sounds like you, keep reading. Today I’m sharing the basics of earplugs: what you should know about earplugs but are too afraid to ask. Or, as I affectionately like to call it, earplugs for dummies. 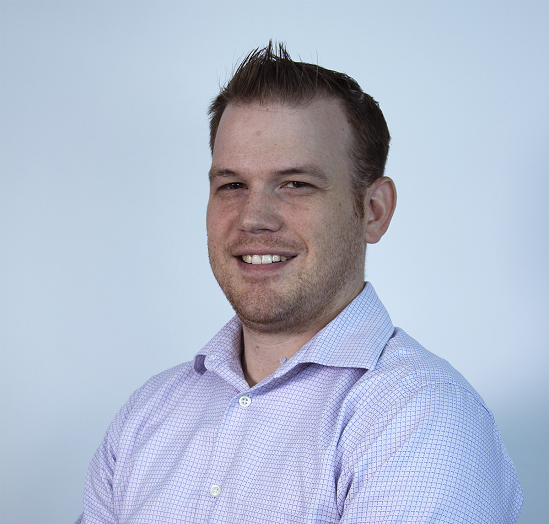 How do you select the right earplug for your job? My last blog, What’s NRR and How Does it Work With Earplugs, explains the basics of noise reduction ratings. If you’re a beginner in hearing protection, I’d recommend starting here. We also have a handy infographic (that you can download here) that shows you the factors to consider when selecting an earplug that’s right for you. For foam roll-down earplugs, slowly roll the earplug between your thumb and forefingers. As the foam becomes more pliable, increase the pressure until the earplug is completely rolled down into the slimmest, crease-free cylinder possible. For all earplugs, use one hand to pull the top of your ear upwards to help open up your ear canal. With the other, insert the rolled-down earplug. Hold the earplug in place with your finger for 30-40 seconds as the foam expands in your ear canal. When worn properly, you shouldn’t be able to see the earplugs in your ears when looking at yourself in the mirror. If you can see any of the earplug sticking out, it means that they’re not properly inserted. Noise should be reduced and sounds should be muffled. Initially, it might feel a bit ticklish and strange having something in your ear – don’t worry! There’s no way for you to insert an earplug too deeply for it to damage your eardrum. If inserted properly, you should feel nothing at all once you get used to the sensation which only takes a minute or two. A properly-fitted earplug is a comfortable one. Is there an easy way to test whether it’s in properly? Yes! 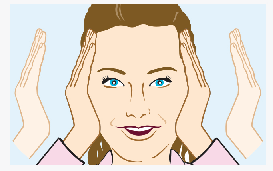 In a noisy environment with earplugs inserted, cup your hands over your ears and release. Earplugs should block enough noise so that covering your ears with your hands does not result in a significant noise difference. How do you remove your earplugs? 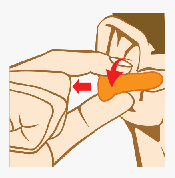 Gently twist the earplug while slowly pulling it in an outward motion for removal. The twisting motion helps reduce the size of the earplug allowing for easy removal. What should it look like when you take it out? If worn properly, your earplug should have an hourglass-shape to it without any creases or folds once removed. This shows that the earplug was properly inserted and molded to the S-shape of your ear canal. When is it time to toss out your pair and get new ones? Disposable ones should be throw out after one-time use. Reusable earplugs can typically be used up for up to a week. Be sure to check for damage on the earplugs such as cracks or tears before each use. Your mom told you to clean behind your ears, but did she tell you to keep your earplugs clean? Dirty or overused earplugs can produce bacteria in the ear canal which can lead to earaches and even infection. If you opt to use reusable earplugs versus disposable ones, be sure to clean them with mild soap and water at the end of each shift to ensure they are in good condition for your ears. The use of earplugs can cause a buildup of earwax that can block your ear canal. If you feel pain, discomfort or muffled hearing after you remove your earplugs, check in with your doctor for advice. What’s the risk of not properly wearing your earplugs? Hearing loss is gradual; many people don’t realize the damage until it’s too late. Often, it’s not until a hearing test or when one notices a slight ringing in their ears do they notice that there’s a problem. The scary thing is that once you’ve lost a portion of your hearing, you will never get it back. This is why wearing proper hearing protection while on the job is vital. In addition to your job, it’s a good idea to wear hearing protection when preforming off-duty tasks such as mowing the lawn or are around loud noises for an extended period of time. And there you have it: the insertion, the removal, and everything in between for proper earplug use. Ready to pick the perfect pair? 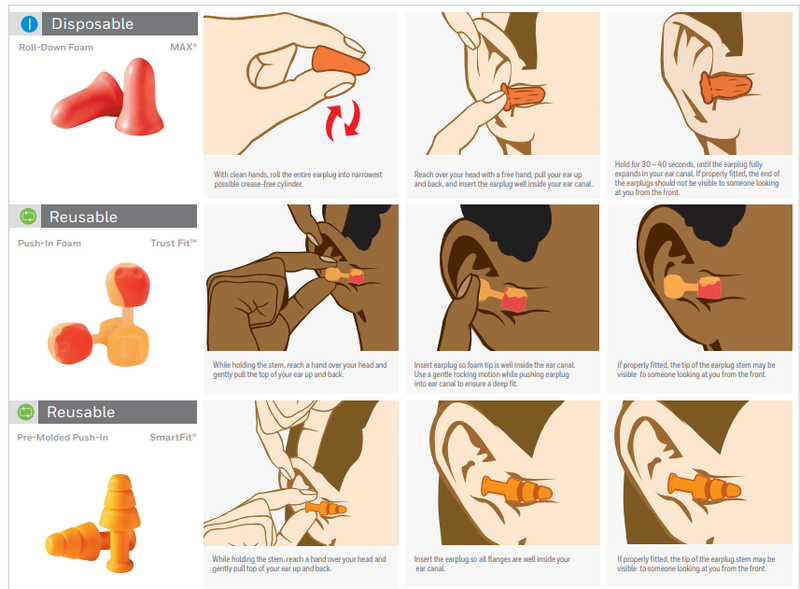 View our infographic on selecting the right fit and view our top Honeywell earplug picks. Want to share these tips with your workplace? Feel free to print our Earplugs Fitting Instructions poster to post on your health and safety board.